So I have been away for a while, you know how it is with life. But that hasn’t stop me from reading. 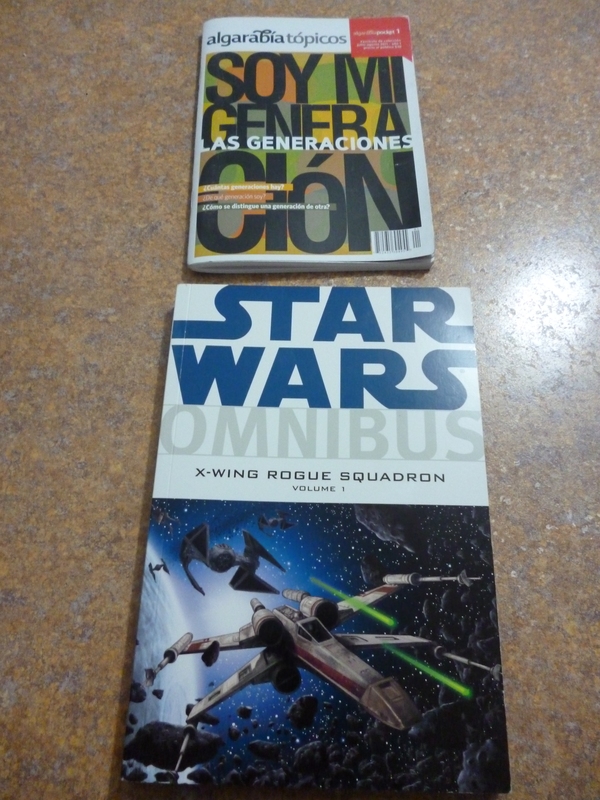 In this past weeks I have finish three amazing books, one graphic novel and a very interesting magazine about generations throughout human history. The first book I finish was “The Golden Compass” by Philip Pullman, this intricate story follows the witty Lyra Belacqua and her dæmon, a sort manifestation of ones soul in the form of an animal, Pantalaimon. Our heroine is trown into a perilous journey where she must face the mysterious Lord Asriel and his quest to find the enigmatic origin of the substance known as “Dust”, the ruthless Mrs.Coulter, the exiled armored bear Iorek Byrnison, the child-stealing Gobblers, the honorable gyptians and even several clan of witches. With it’s profound subject matter and beautiful narrative this novel is destined to become and ageless classic. The second novel is Kerouac’s masterpiece “On the Road”, a chronicle of the journey throught a infinite number of miles that Sal Paradise and Dean Moriarty travel in order to find the meaning of their existence. A rocky road fill with jazz, drugs and the ever stretching mystical highways of america. This novel tap into my need to go out and explore the world, to find some epiphany with the radio blasting and the road unfolding before me. The third book was the collection of short stories “Smoke and Mirrors” by Neil Gaiman. I will highly recommend this book to witness the large scope that Mr. Gaiman can cover. Some of my favorite stories are collected in this volume like “The Price” the story of the brave black cat, or ” Murder Mysteries” the thriller about the murder of an angel. I also found new material to me, especially the tip of the hat to H.P. Lovecraft. As you can see the range of this novels are all over the place, but and with any good book they make take a journey into the unknown. A beautiful novel laced by lost love and forgotten lovers, our narrator Toru Wanatabe, takes us on a reminiscence of his college years, his sexual conquests and mishaps. But the main drive of the story is the infatuation of our narrator with two lovely ladies, Naoko and Midori. As a back-drop to the story our narrator bear witness to the Tokyo student protest in the late 60’s. An event that was behold in many other nations. As always Mr. Murakami weaves an intricated story full of beautiful moment as well as heart-wrenching events, all of this accompanied by a radiantly poetical narrative. Of the three novels I have read of this japanese author this is my favorite. As an interesting fact, the name of the novel comes from a Beatles song of the same name, and has mention throughout the novel as the favorite song of Naoko.